Have you ever been given macarons? Or do you enjoy buying these sweet treats? 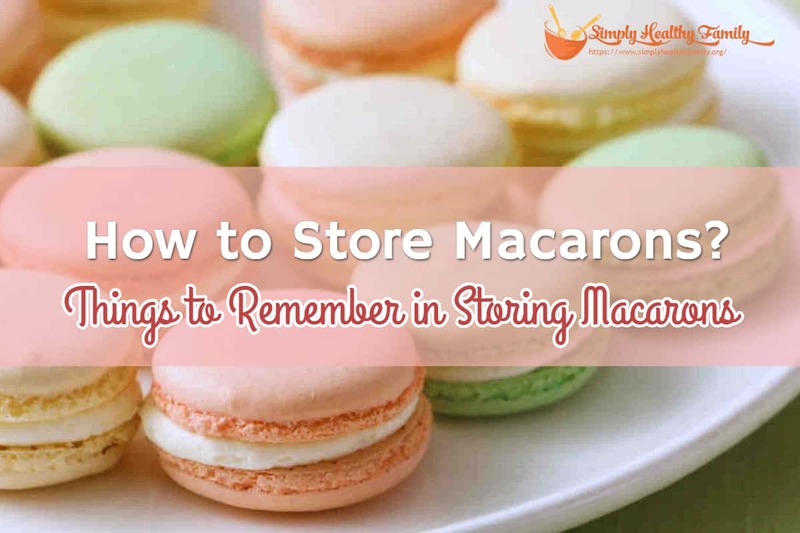 If so, then I bet you have wondered at least a once in your life how to store macarons. In this post, I will discuss how long macarons last. You will also learn tips on extending the shelf life of macarons. A French confectionery, the macaron is made from different ingredients like egg white, ground almond or almond powder, sugar, and icing. 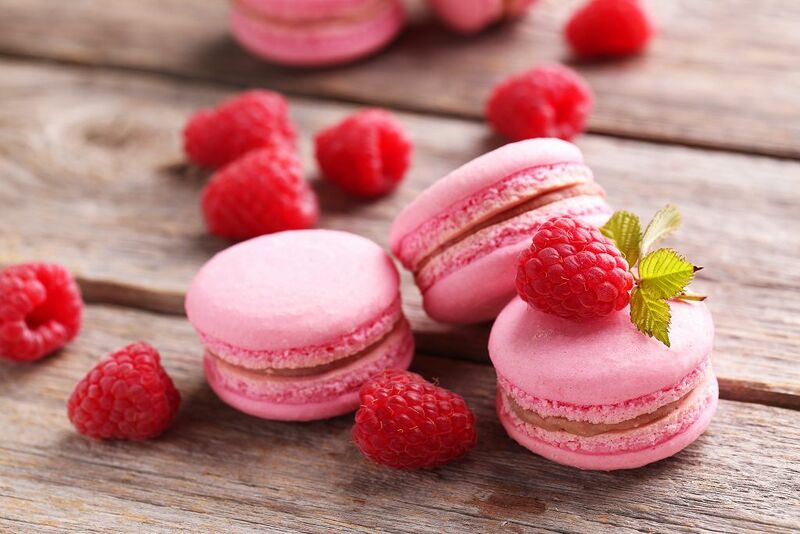 While French in origin, macaron got its name from the Italian word macarone or meringue in English. However, you should not confuse macaron with macaroon, which is a kind of coconut meringue cookie. Macaron typically has a filling in between two cookies. Some of the ingredients often used as filling are fruit jams, chocolate fondue, and cream cheese. This sweet treat is a bit moist. It quickly melts in the mouth. I love fresh macaron because it is crispy from the outside but you’ll feel and taste the softness of its filling when you take a bit. 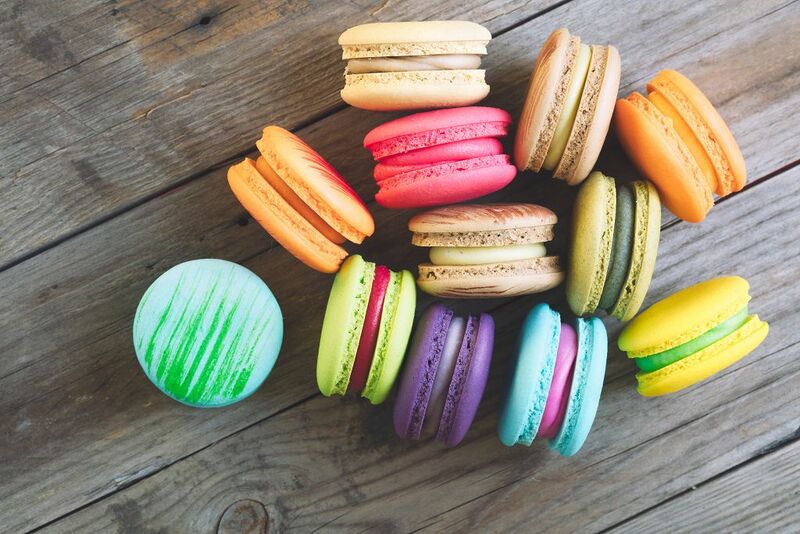 With its colorful appearance and very delicious flavor, it is not surprising that macarons are one of the most popular desserts. Macarons don’t have the longest shelf life. It can be easily spoiled when left at room temperature. As such, I suggest you consume macaron that’s left in the pantry within the day. Due to their rather short shelf life, macarons aren’t exactly the ideal dessert for a garden party. Macarons with a chocolate buttercream filling can easily melt when exposed to high temperatures. When stored in the refrigerator, macarons will stay fresh for around 3 to 4 days. 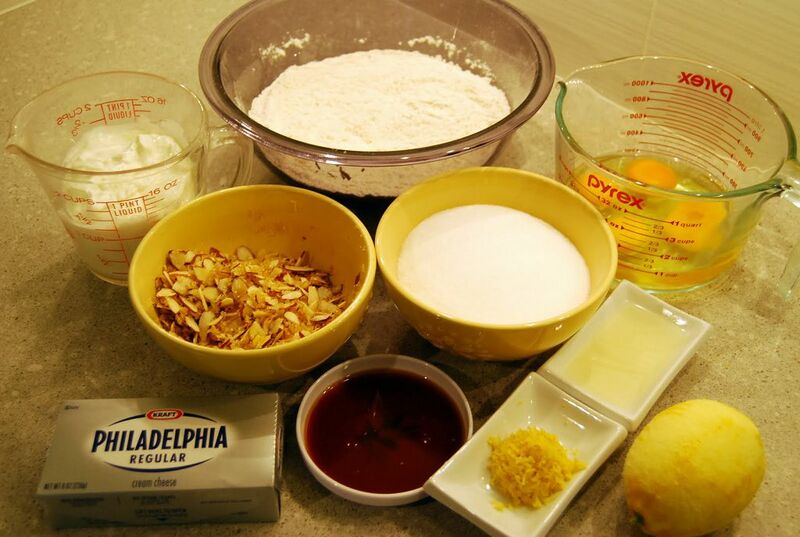 After that, the dessert will start to get crumbly and lose its freshness. The best way to store it is to put it in the freezer. Like biscuits, frozen macarons can last for three months. You can then thaw the frozen macarons for about half an hour before eating them. In case you want to store macarons in the fridge, simply put them in an airtight container. I recommend using a glass or plastic container for this purpose. The container should be clean and dry. 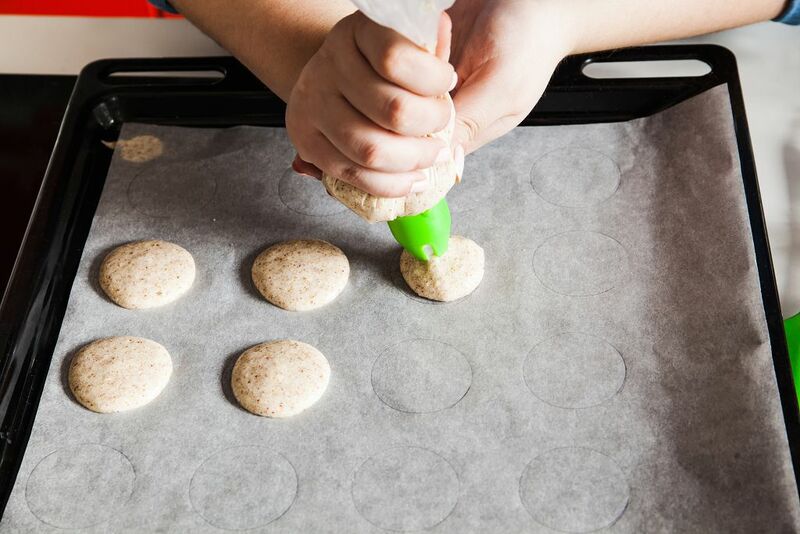 The last thing you want to happen is for moisture to soften the shell of the macarons after several days. Some people use a ziplock bag for storing macarons. The problem is that macaron shells can easily break when it gets in contact with another heavy item like a slice or two of pizza. You can use ziplock bag; just be sure that the macarons will not be crushed by a bigger food. Line up or layer the macarons in the container. I would usually place parchment paper in between the macarons. Don’t use wax paper because the macarons will stick to it. You should then place the macarons in the middle of the fridge. I don’t like putting it near the door because the temperature there tends to fluctuate. When you are ready to eat or serve macarons to your guests, take the sweet treats out of the fridge or freezer and set them on the counter for half an hour. This would let them come to room temperature. While waiting for the macarons to come to room temperature, you can make good use of the time to prepare tea and coffee for your guests. Macarons aren’t as cheap like cake pops. They can cost a lot especially when you buy them in fancy stores. 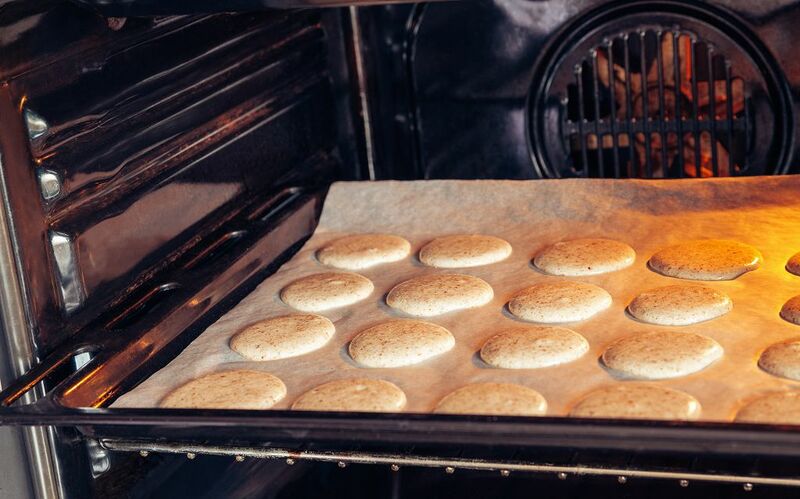 The good news is that you can make your own macarons at home. The recipe I am sharing should take you about two hours to complete. An hour would be spent for preparing while the other hour would be for the baking. Whisk the confectioner’s sugar and almond meal together. Pour the mixture into a large bowl. 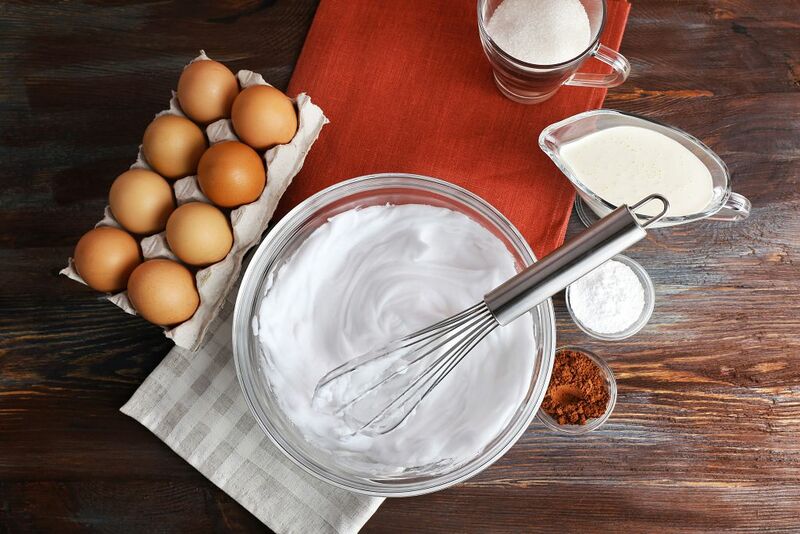 Beat the egg whites for 1-2 minutes or until they turn frothy. Add the granulated sugar and the almond extract. Beat for 3-5 minutes or until medium shiny peaks. Fold egg whites into the almond mixture. 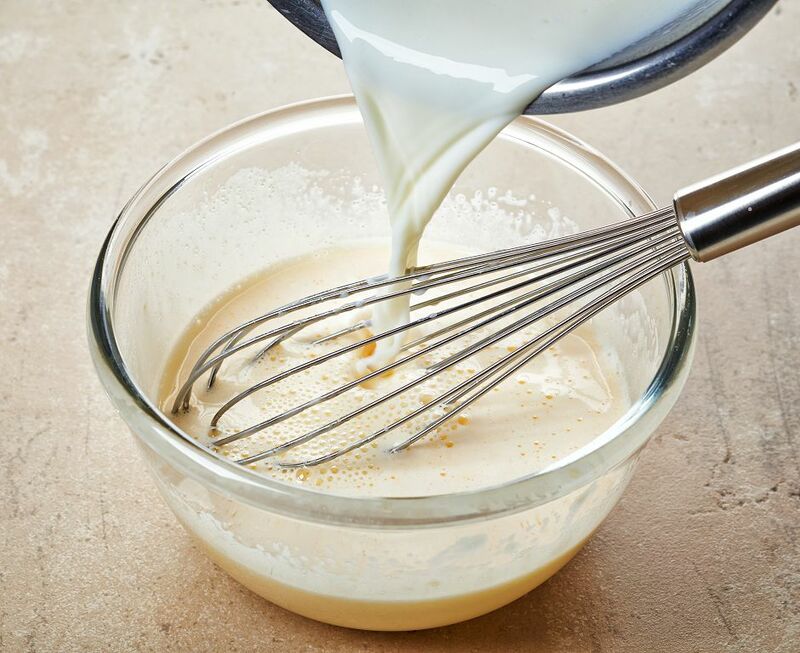 Stir well with a spatula until the mixture has turned into a smooth mass with a consistency similar to that of honey. Transfer the mixture to a pastry bag then cut half an inch off the tip. Pipe one-inch rounds on a parchment-lined sheet. Let this dry for about 1 ½ hours or until the tops have firmed up. Preheat the oven to 350 degrees Fahrenheit. Bake sheets one at a time for around 15 minutes. Let this cool on the wire racks before you fill the cookies with strained jam and put them together. In closing, macarons don’t last that long when left at room temperature. These delicate desserts are best stored in the fridge or freezer. When left in the fridge, macarons will stay fresh for up to 4 days. Freezing macarons can extend the shelf life to 3 months. 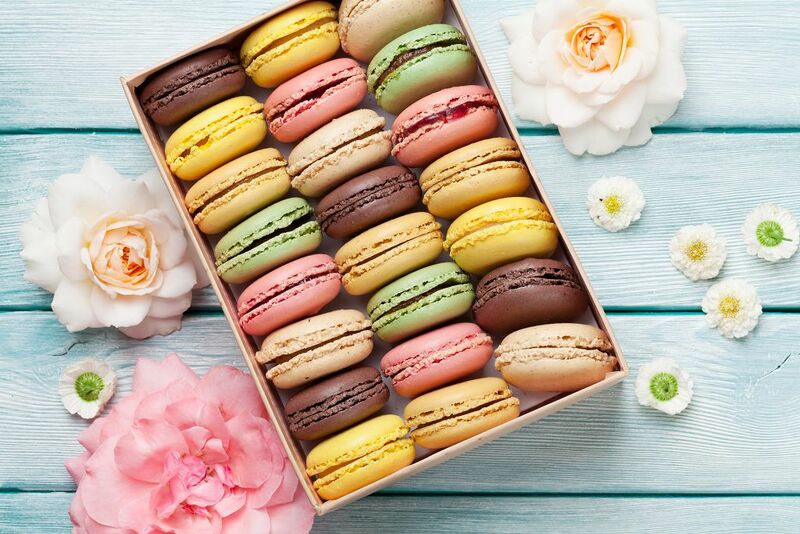 In storing macarons, it is best that the dessert is placed in an airtight container then placed in the coldest part of the fridge or the freezer.